A dress that will take you effortlessly from beach-to-bar. 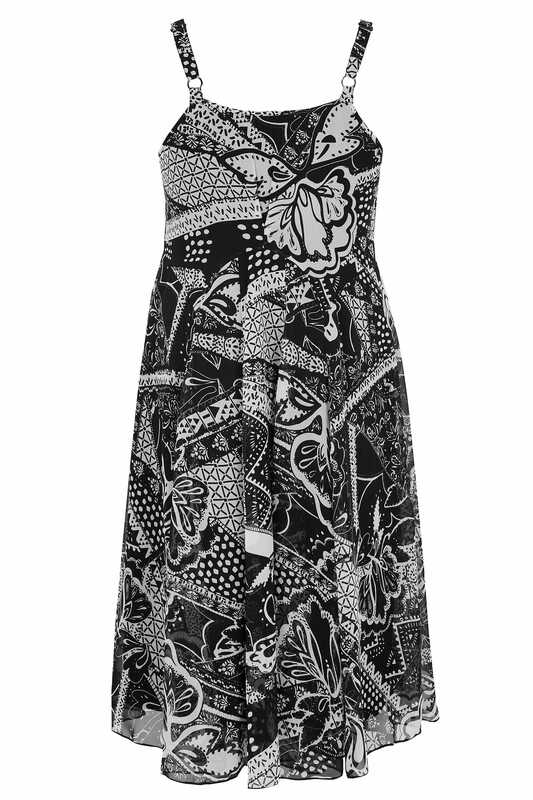 Lightweight and easy-to-wear, it is cut to a midi length and features an elasticated panel at the waist for comfort and adjustable straps for a perfect fit. 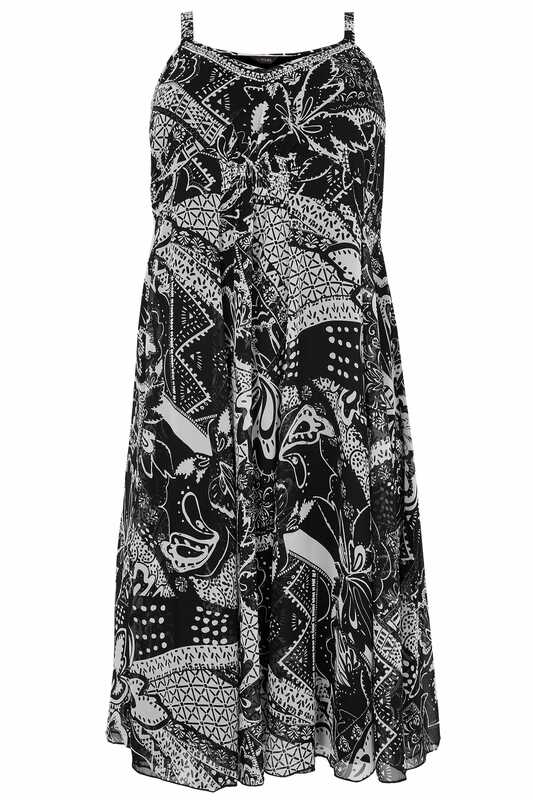 We love the monochrome print and the bead embellished neckline.